Experience the roots of southern hospitality through 19th century Georgia homes along the Antebellum Trail. Georgia&apos;s Antebellum Trail spans 100-miles and seven historically significant communities including Athens, Watkinsville, Madison, Eatonton, Milledgeville, Gray/Old Clinton and Macon. Each of these towns offer a window back in time to the rich history of the days of white columns and grand front porches. Every great piece of history deserves to rest in its true home, and the story of the T.R.R. Cobb House in Athens has a happy ending indeed. After languishing for almost 20 years at Stone Mountain, GA, 70 miles from its original location on Prince Avenue in Athens, GA, the T.R.R. Cobb House was returned to the Classic City in 2005. T.R.R. Cobb was a UGA graduate, co-founder of the school of law, a Confederate General, and principal author of the Confederate Constitution. He left an indelible mark on the history of Athens and Georgia. Its new address is only about two blocks from the original site. Open to the public as a house museum, the main floor is furnished with original pieces from the Cobb and related families to reflect the styles of 1852-1862, when Thomas Reade Rootes Cobb was at the peak of his short-lived career. The upper floor is of a more contemporary nature, with changing exhibits and display cases housing original weapons, objects, documents, and ephemera on particular topics. OPEN: 10 a.m. - 4 p.m. Tuesday - Saturday. ADMISSION: $2 donation per adult suggested but not required. While in town: The T.R.R. Cobb House is one of four Athens House Museums! 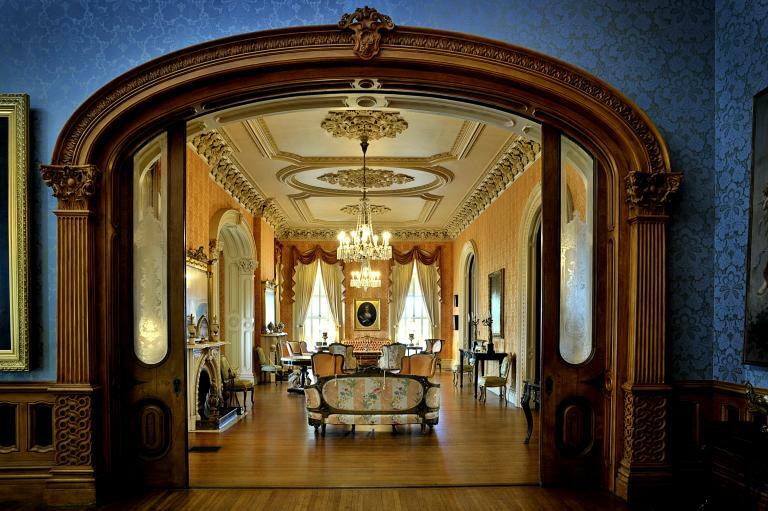 Take the guided Museum Mile Tour and explore the interiors of four historically accurate homes representing the Federal, Greek Revival, and High Victorian periods. 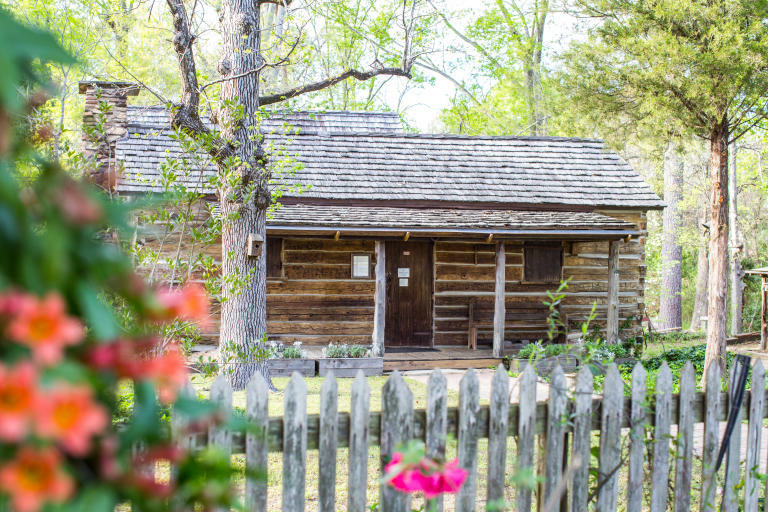 The Eagle Tavern Museum is one of Oconee County’s earliest surviving structures, built in the late 1700s when Watkinsville was nothing more than a frontier town on the edge of the Creek and Cherokee Indian Territories. Opened in 1801 as a stagecoach stop and tavern, travelers quickly started visiting, and by 1827 stages from Milledgeville passed through three times a week on their way to Athens. Men traveling by wagon, horseback or on foot could, for the price of a drink, spread their bedrolls on the “Front Room” floor. The two upstairs bedrooms were reserved for stage passengers. Today, a tour takes you into the life of a traveler in the 1800s. Visitors will see examples of handcrafted chests, pottery, tables, beds and other artifacts, typical of the nineteenth century. OPEN: 10 a.m. – 4 p.m. Monday - Friday. Tours began across the street at the Welcome Center. ADMISSION: Free, however donations are kindly accepted. While in town: Consider overnighting at Ashford Manor. Built in 1893, this Victorian-style Manor house sits in the heart of downtown Watkinsville on 5-acres of landscaped gardens. The home’s legacy began with William Henry Ashford who worked as a tailor making uniforms for soldiers during the Civil War. Experience the height of extravagance during the era of cotton plantations, when cotton was king. Known as Madison’s Antebellum Dame, one of the finest of Madison’s antebellum homes is Heritage Hall. Built as early as 1811, perhaps in a much simpler form than we see today, the property and home were purchased in 1830 by Dr. Elijah Evans Jones, a prominent physician in Madison. Listed as a medical doctor at the young age of 22 with only one year of medical school, the term “practicing medicine” was seemingly literal terminology during this time. 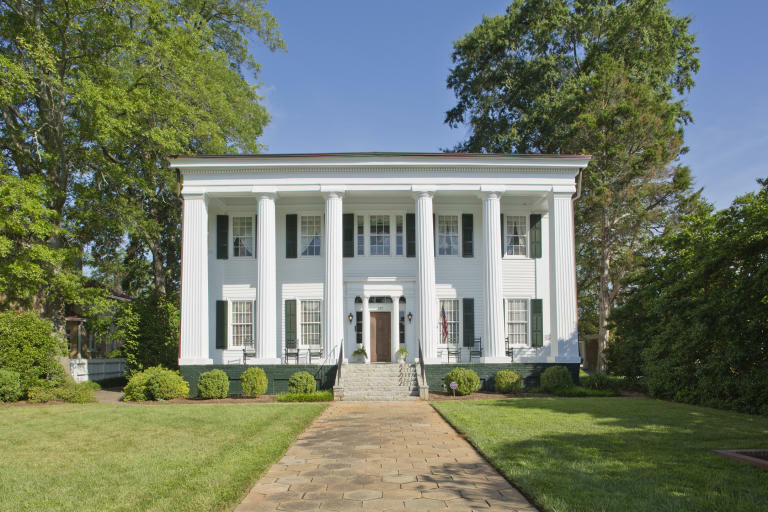 Dr. Jones expanded the house and gave it the Greek Revival style it is known for today. Visitors will enjoy a docent led tour and hear the stories of those that once lived within its walls. The home has been restored for its architectural and historical significance and is completely furnished. Special Note – the story of its window etchings is a visitor favorite! 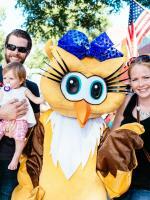 ADMISSION: Adults $10, Students $7, Children under 12 are free. While in town: Consider upgrading your admission to the combo ticket! This bundle allows visitor’s admission to the Rogers House and Rose Cottage too. The Rogers House is one of the oldest houses in Madison, built the same year Madison was incorporated, in 1809. This home, a fine example of Piedmont Plain architecture, is decorated with 19th century furnishings. Rose Cottage was built by Adeline Rose who was born to enslaved parents and made her living taking in laundry for boarders at The Hardy House, which was owned by famous comedian Oliver Hardy’s mother at that time. She built this house in 1891 for $100. Built from local, former slave cabins, the Uncle Remus Museum allows visitors to immerse themselves in the time period that Joel Chandler Harris originally heard the critter tales as a boy in Eatonton. While working at Turnwold Plantation, Uncle Remus (a composite character drawn from several local slaves) shared the stories with Harris who later voiced the African American tales while working at the Atlanta Journal Constitution. 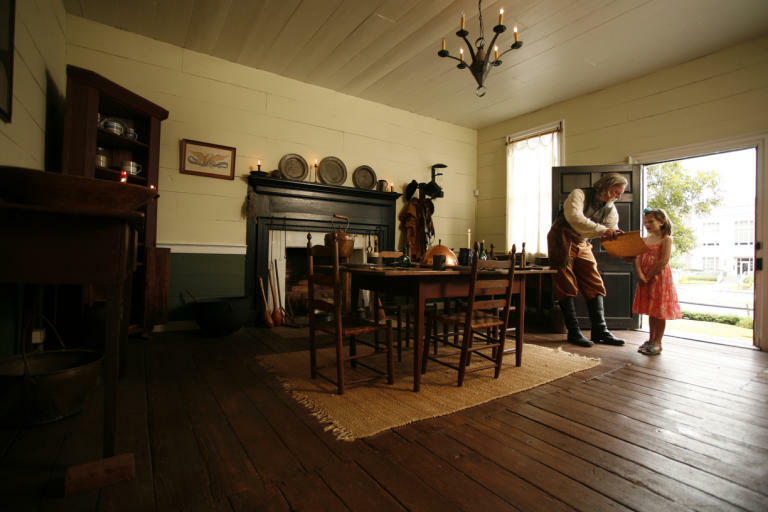 Tours of the Museum educate visitors about the life and work of Joel Chandler Harris using historic storytelling, period artifacts, dioramas of the more famous Uncle Remus critters and the local history during Harris&apos; formative years. The Museum also has a wing devoted to the relationship between Harris and his mentor, Joseph Addison Turner, who taught him the printing trade and provided Harris with the equivalent of a college education in writing and journalism. Recently the Uncle Remus Museum unveiled five new “critter” carvings donated by the Eatonton Putnam Chamber of Commerce. These larger-than-life animal renderings were created by local sculptor, Chris Lantz. ADMISSION: Adults $5, Seniors and Students $4, Children 5-12 $3, Children Under 4 are Free. While in town: Eatonton, which has a beautiful, well-preserved downtown historic district plus a residential section featuring over 100 antebellum and Victorian-era structures. Don’t miss the 1854 Greek revival home Panola Hall. Doric columns and pilasters line the front of the home, but it’s real history is the Sylvia the Ghost. It is said that in the late 1800’s a woman flung herself off of the balcony of this home after learning of her fiancé’s death in the Civil War. Today, Sylvia only shows herself to those she believes to be her social equal. Milledgeville is known as Georgia&apos;s Antebellum Capital as she was designated as the new Capital of Georgia in 1804 and served through the end of the Civil War. During that time, one of America’s finest examples of High Greek Revival architecture was constructed. The c. 1839 Old Governor’s Mansion housed Georgia’s chief executives for 30 years. 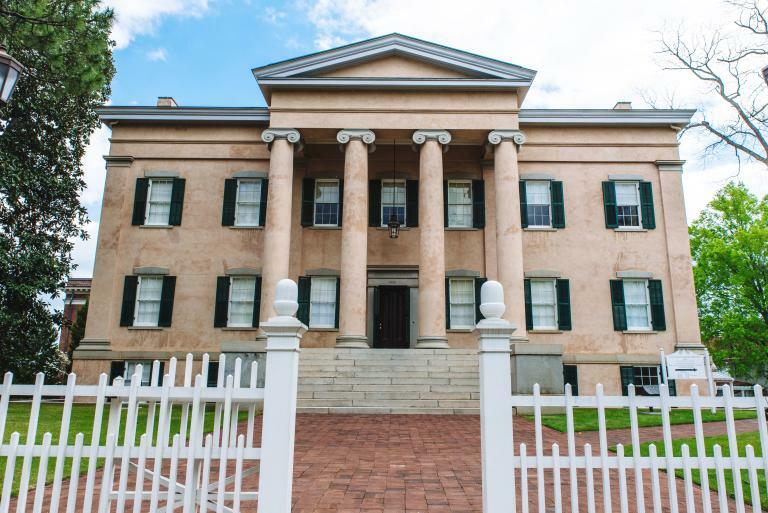 The four stories tall Mansion looms over Milledgeville with its stately columns, imposing façade and interior Rotunda. During the Civil War, the Mansion was claimed as a "prize" in the "March to the Sea," when General William T. Sherman headquartered in the building on November 23, 1864. Following the war, Georgia&apos;s capital was relocated to Atlanta, and the Mansion was abandoned. In order to serve as an historic house museum, the Old Governor&apos;s Mansion went under a three year historic restoration of painstaking work, resulting in a restored original layout, coloration, lighting and appearance of the building. Today the Old Governor’s Mansion is a National Historic Landmark, an accredited museum of the American Alliance of Museums and in 2015 was named an affiliate of the Smithsonian Institution. OPEN: 10 a.m. – 4 p.m. Tuesday – Saturday; 2 – 4 p.m. Sunday. Tours are on the hour with the last tour at 3 pm. ADMISSION: $10 for Adults; $7 Senior Citizens (60 years and older); $2 Students; Free to children under 6 and all GC faculty, staff, and students. While in town: Hop aboard Milledgeville&apos;s Trolley Tour, the best way to take in the town. A guided drive through the landmark historic district includes rotating visits to the Old State Capitol, St. Stephen&apos;s Episcopal Church, Rose Hill and the Brown-Stetson-Sanford House. The trolley tour is available Monday - Friday at 10 AM and on Saturday at 11 AM. Relive the Old South at the Jarrell 1920 House. Originally the home was part of the Jarrell family farm, now known as Jarrell Plantation State Historic Site and listed on the National Register of Historic Places. Today, the house is a Bed & Breakfast and visitors can stay in the 5,000 square-foot home which has been preserved in its original condition. Interior walls and ceilings are of beautiful heart pine -- from trees felled on Jarrell land, sawn to size on the Jarrell sawmill, and assembled by Jarrell hands. Most of the 19th and early 20th century furniture is still preserved in its original state. Adjacent to the grand Jarrell House, stands a simple heart pine house built in 1847, typical of most plantations. After the Civil War, the plantation grew to nearly 1,000 acres farmed by former slaves. Over the next few decades the farm diversified, adding a sawmill, cotton gin, gristmill, shingle mill, planer, sugar cane press, syrup evaporator, workshop, barn and outbuildings. In 1974, the farm was donated to establish Jarrell Plantation Historic Site. While in town: Stroll or drive the quiet streets of Old Clinton’s Historic District to enjoy the charm of the early architecture and greenspaces. The past is still visible here, little disturbed by commercial development. The Old Clinton Historic District is architecturally significant for its collection of early 19th century homes and public buildings now on the National Register of Historic Places. Macon was spared from destruction from the Union troops when, led by General William Tecumseh Sherman, they bypassed Macon on his infamous March to the Sea. Since Macon’s city structures and architecture remained intact, there are 14 historic districts encompassing over 6,000 historic homes and buildings listed on the National Register of Historic Places. Featured on A&E&apos;s "America&apos;s Castles," the keeper of the Confederate treasury, William Butler Johnston, left behind the real treasure, Hay House. Inspired by the mansions of Florence and Rome during a three-year honeymoon in Europe, Johnston and his wife, Anne, spent four years building an 18,000-square-foot Italian Renaissance Revival mansion that is now a National Historic Landmark. Considered the most advanced antebellum building in America for its style, craftsmanship and technological innovations, the magnificent seven-level Hay House boasts beautiful 18th-Century furnishings, Italian Carrara Marble fireplaces, some of the country&apos;s finest examples of marbleized and trompe l&apos;oeil finishes, a music room with a 30-foot clerestory ceiling, exquisite plaster work with 24-karat gold leafing and spectacular stained glass. Today the mansion is called Hay House for its last owners and residents, the P.L. Hay family, who conveyed the property in 1977 to The Georgia Trust for Historic Preservation. OPEN: 10 a.m. – 4 p.m. Monday – Saturday; 1 p.m. – 4 p.m. Sunday. Tours are on the hour with the last tour at 3 pm. While in town: Peek inside the Cannonball House and Sidney Lanier Cottage, the remaining two historic house tours Macon regularly offers. 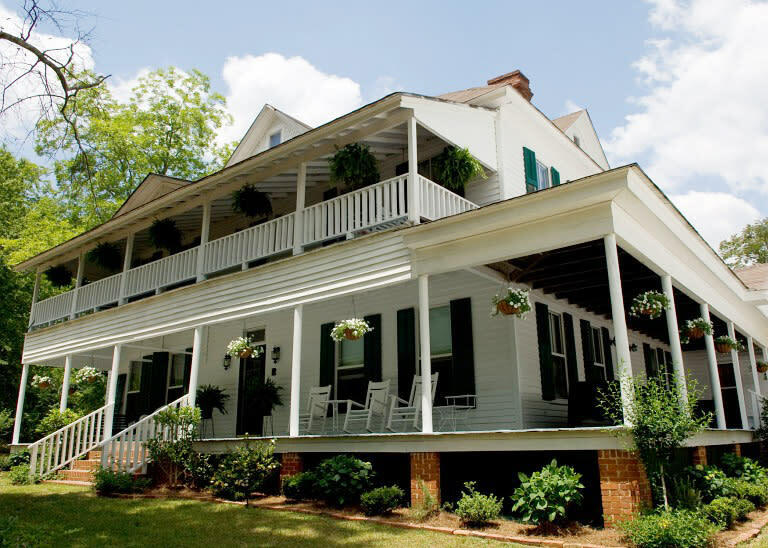 The Cannonball House is known for being the only home in Macon damaged by the Civil War and the Sidney Lanier Cottage is the birthplace of poet, musician and solider Sidney Lanier, who is best known for “The Marshes of Glynn” poem. This article was written to appear as a guest blog for Explore Georgia.